Find the right experts and engage them in productive interactions. Simple and user-friendly interfaces for better user adoption. Out-of-the-box reports and network maps for data analysis. 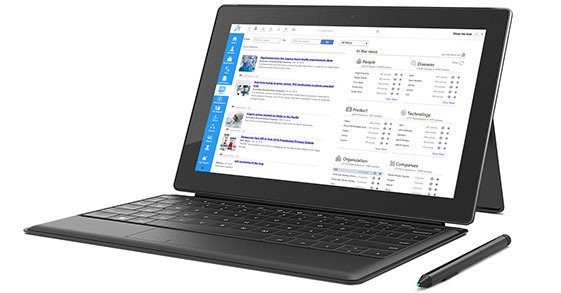 Access all your KOL profiles from your smartphone and iPads on-the-go! Data syncs automatically on all devices. Increase or decrease the number of licenses as and when you need. Easily cancel your subscription at any time. Integrate your KOL Identification data into the KOLM application to access dynamic reporting, segmentation and advanced filtering. Find the right experts for your objectives by ranking them. Conduct more productive interactions with better understanding of your HCPs. Analyse the networks, connections and collaborations within the community of HCPs and see how interactions are happening. Track your KOL engagement seamlessly with built-in CRM modules that can be easily customized as per your company requirements. Using a different application for interaction tracking and CRM? 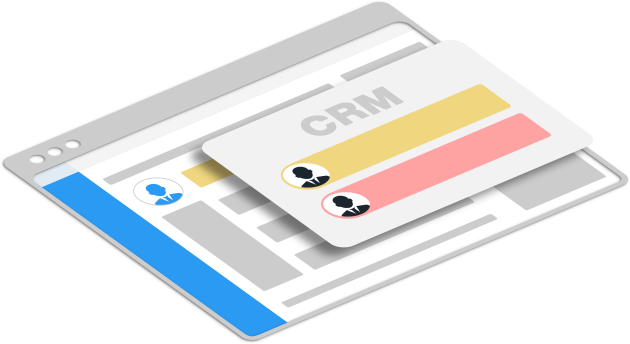 KOLM easily integrates with your existing CRM enabling the user to seamlessly access both the systems. 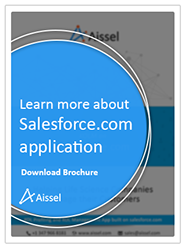 Most convenient application built on Salesforce1 Platform to deliver KOL profiling capabilities to existing salesforce.com users. 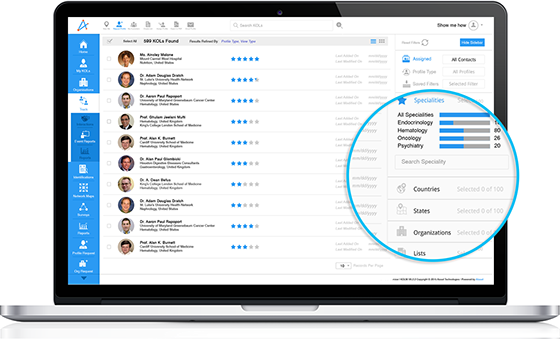 Integrates with your existing salesforce.com application and the users can access profiles of their HCPs without even switching screens. Network Maps and Reports equip you with even better tools to analyse your Healthcare Professionals and plan your communications. MedIntel is the Medical Media Intelligence feature fully integrated into the KOL Management application. Medical news articles from hundreds of sources are curated everyday and organized into various categories. You can easily follow your favourite topics or discuss online with your colleagues. Based on your topics of interest, newsletter is generated everyday for you. We scan the news globally and alert you whenever your favourite topics are mentioned in the news. You will never miss another important bit of news. Cut through the noise. We scan, curate and extract the most relevant content on your preferred choice of medical trends and topics, diseases, or technology trends. It's your personalized news monitor. Understand your competition by following their media mentions. Stay current on your competitor products, companies, new approvals or even the people. We keep a track of what matters to you. Track the industry trends, technology developments, new research and always stay up-to-date on advancements in life sciences. We will keep you updated on what's new in your field.